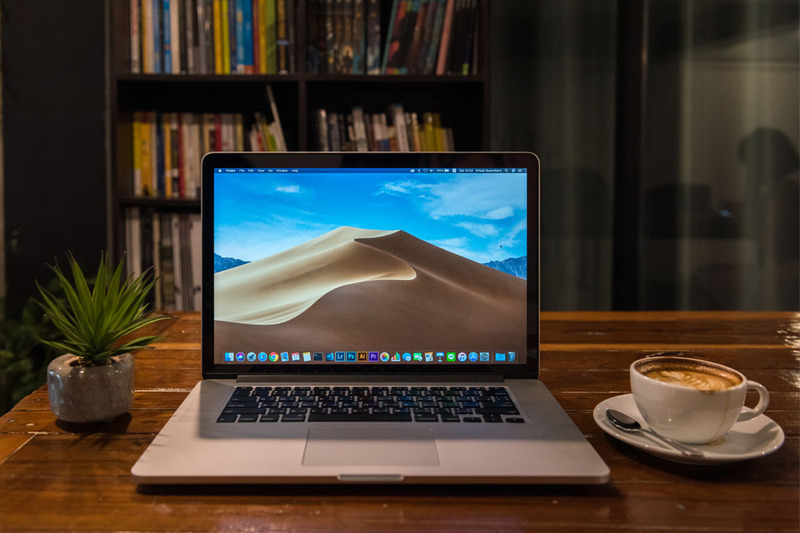 Should You Upgrade to macOS Mojave? macOS Mojave was launched a few days ago. Have you decided to upgrade yet? Before you think about upgrading to the new macOS, it is crucial that you read this first to get an idea whether the upgrade will be worth it or not. It is Mojave vs High Sierra performance that this article will discuss so that you can arrive at a sound decision. Maybe the biggest change to have been introduced in macOS Mojave is related to its interface overhaul. The last interface change was done back in 2014 with Yosemite where the previous skeuomorphic design was replaced with flat graphic design and blurred translucency elements, making Mac’s interface look somewhat similar to iPhones and iPads. In macOS Mojave, the interface change has to be initiated by the user. And when you do that, you’ll be surprised at the dramatic change in your interface. Mojave calls this the Dark Mode. You’ve probably heard about this option before because Dark Mode has been available since El Capitan was launched in 2015. However, Mojave’s Dark Mode takes it up a notch in terms of darkening your Mac’s interface. In macOS High Sierra, the user can choose to turn the color of the menu bar and Dock a bit darker, but that’s all there is to it. There are also several third-party apps that don’t support the Dark Mode, so even if you have it turned on, the menus of these apps are still bright. Even some of Mac’s own apps don’t support this Dark Mode. For example, Safari’s SideBar is still translucent white even when Dark Mode is turned on. With Mojave’s Dark Mode, everything will be totally dark. You can choose to make all elements of the interface dark,and the system will take on a darker hue, as long as you configure it in the Settings. However, the Dark Mode is not an ideal mode to work with all the time. But if you tend to do a lot of your work in a dark environment or you feel inspired when working the dark, then this mode will greatly benefit you. The dark colors of the interface will help avoid eye strain that is caused by the brightness of the screen. Aside from this group of people, photographers and designers will also enjoy the Dark Mode because there will be less distraction. The muted interface lets them see clearly the image they are working on and focus their attention on the screen. Using Dark Mode is like putting on your sunglasses while in front of the computer. The Dark Mode is not the only feature that’s coming in macOS Mojave. There is also something new that’s going to happen to the Desktop and Finder. Most Mac users are guilty of stuffing everything on the Desktop. Whether it’s images, files, documents, movies, or other stuff, the Desktop seems to be the best place to store everything. And this true not only for Mac users, but also for those using other computer systems as well. Some users are more organized than others, creating a folder where they stuff everything into when they feel like cleaning up their desktop. There are users who follow an organized file structure when saving files on the Desktop. They have separate folders for personal files, work documents, images, videos, etc. Whether you’re using a filing system or not, it doesn’t change the fact that the Desktop is the best place to save everything. You can easily search and retrieve files without clicking your way through other folders. If you saved your files in the Documents folder, you’ll have to go to Finder > Go > Documents. But if you saved your file to the Desktop, you just open your home screen and voila! Your files are right in front of you. And with the launch of macOS Sierra in 2016, syncing your Desktop across all your Macs has become possible, so you practically have the same Desktop and the same files no matter what Mac you are using. This Shared Desktop was one of the favorite features of Sierra, but Mojave has taken the game to another level with Desktop Stacks. In Mojave, all the files that you drag into your Desktop will automatically be organized into Stacks. No need to look through all the mess on your Desktop just to look for the last screenshot you have taken or the last file you have saved. You only need to click the Stack corresponding to the type of file you are looking for, for example, Images Stack for all photos and images. If you have a messy Desktop, then the Desktop Stacks is a good way to make your home screen organized and boost your productivity. Another way to keep your Desktop less messy is by deleting all your junk files, using an app like Outbyte MacRepair. Not only does it help you keep your files organized, the app also helps you maximize your storage space and optimize your Mac’s performance. One of the changes that comes with Mojave is the reinvention of the Finder feature. Mojave has combined Quick Look and Markup tools to make Finder more powerful. Quick Look was added in Leopard in 2007 where you can see the preview of the file just by selecting it and pressing the spacebar. The Markup tools, on the other hand, were introduced in Yosemite in 2014. With Mojave, you will be able to see the preview and make some changes to the file even without opening an app. Just press the spacebar to take a Quick Look at an image or PDF in Finder, then edit the file by cropping or rotating the image, or add a signature to PDF files. This feature saves you from the hassle of jumping in and out of different applications. If you’re familiar with the Cover Flow view which was introduced in Leopard in 2007, then you’ll definitely appreciate the new Gallery view which has replaced this feature in macOS Mojave. Cover Flow only gives you a small preview of the files and images that you can flick through until you find what you’re looking for, while the new Gallery view will give you a bigger preview, like when you’re scrolling through images. Plus, there’s a sidebar with information on every file. With the Gallery view, you get a visual preview of the files, instead of just seeing the filename like in the previous macOS. It makes it easier for users to identify the files they are looking for, especially image-based files. Besides, who remembers file names anyway? Taking screenshots on Mojave will now be different from taking screenshots on the previous macOS. Since the introduction of macOS X in 2001, the process of taking screenshots has been the same — until now. With macOS High Sierra, you can just hit the Command + Shift + 4 to take a snap of a section of your screen, or press Shift + Command + 3 to take a picture of the whole screen. In Mojave, the screenshot process will be similar to that of the iPhone’s or iPad’s. Whenever you take a screenshot, you’ll see a thumbnail of the image at the bottom left of the screen. When you click on that thumbnail, you’ll be able to make some edits to the screenshot without opening other applications such as Preview or Photoshop. You can crop, rotate and edit the image just by clicking the thumbnail. One of the features that Apple failed to deliver before is how to get APFS, Apple’s new file structure, to work with Fusion Drives and hard drives. The Fusion Drive is a combination of a NAND flash storage and a hard drive, letting users benefit from the faster solid state drive while enjoying the extra storage offered by the cheaper hard drive. APFS only works for SSDs or solid state drives since it was introduced with macOS High Sierra. Those with Fusion Drives or hard drives can’t take advantage of the benefits of the new file system, and Apple had failed to deliver a solution for a long time until Mojave. The new Mojave APFS can now be used for Fusion Drives. What is APFS? Apple File System or APFS replaced the Hierarchical File System HFS+ that had been around since 1998. APFS is the new system with which your Mac organizes and stores your data. APFS organizes your data in such a way that it maximizes your storage space. In fact, iOS and Mac users found that they had gained back a few GB of storage after APFS had been rolled out. It also made copying large files faster because instead of copying the actual file, the system creates a clone of the original file instead. Another good feature of the APFS is that it does not limit the size of your partition, which is useful if you want to run multiple versions of macOS. Another feature worth looking into is the Group FaceTime calling, which will be launched a few months after the Mojave release. FaceTime video calls can now accommodate up to 32 users at once. This is ideal for conferences or meetings, especially when the participants are overseas. The News app you’re familiar with on your iPhone is now available on your Mac, thanks to macOS Mojave. The macOS version of the aggregator app will collect all the Top Stories, Trending Stories and all other articles that have been personalized for you. With the popularity of smart appliances and automation, Apple has made it easier for Mac users to control and manage HomeKit gadgets such as thermostats, audio, lights, and other IoT devices. Prior to Mojave, managing these HomeKit gadgets had only been possible on iPhones, iPads and HomePod’s Siri. With the release of Mojave, Apple has added the Mac as one of the devices capable of managing HomeKit gadgets. Safari is going to get another overhaul in its next version. Safari 11, which was released in 2017, has been a huge step in improving users’ surfing experience by preventing videos from automatically playing, allowing settings configuration on a per-site basis, and getting rid of some of the annoying advertising practices. With Safari 12, Apple has promised users that companies will no longer be able to track you between websites by prohibiting cookies. The Mac App Store is going to have a complete overhaul in Mojave. This is a very welcome change for most Mac users because the current Mac App Store can be a little difficult to work with, and finding a good app is always a challenge. The new App Store will hopefully be easier to navigate. Developers will be adding videos to their app descriptions so users can see what the apps do exactly. Developers will now be able to offer free, trial versions of their apps on the Mac App Store to make users be more inclined to purchase the apps. We’ve discussed earlier how Mac’s screenshot feature will look much like the screenshot of iOS devices, and we’ve noticed how other apps are becoming quite similar to their iOS counterparts. This is part of Apple’s move to make switching between iOS and Mac a lot simpler. There are a few ‘Continuity’ features included in macOS Mojave to make your iPhones, iPad and Mac work together smoothly and efficiently. With macOS Mojave, Mac users will now be able to choose their iPhone to capture content even if they are working on their Mac. For example, you can use your iPhone to take a picture that you can add to the document you are working on on your Mac. One of the notable changes that’s coming to Mojave is that it will no longer support 32-bit apps. So if you’re using apps that are 32-bit, you might want to look for an alternative or wait for an update from your developer (which they will most probably work on the moment they realise Mojave no longer supports 32-bit apps). In terms of graphics, Mojave will now be equipped with Metal, Apple’s API for 3D graphics. The new macOS will also have support for four external eGPUs. eGPUs allow smaller notebook computers or Macs with lower graphics power to experience the power of a full-sized graphics card, using a high-speed bandwidth connection. However, this will only be available for Thunderbolt3-enabled Macs. There are a lot of good things that are coming with the launch of macOS Mojave. The Dark Mode will be a unique feature, and the Desktop Stacks will be a huge help in keeping our messy Desktops, well, less messy. Although there aren’t a lot of new and innovative features, Mojave is still a worthwhile update. Apple has said that this new macOS will be a strong and stable update, but we still have to see whether this macOS Mojave performance will be worth the trouble.